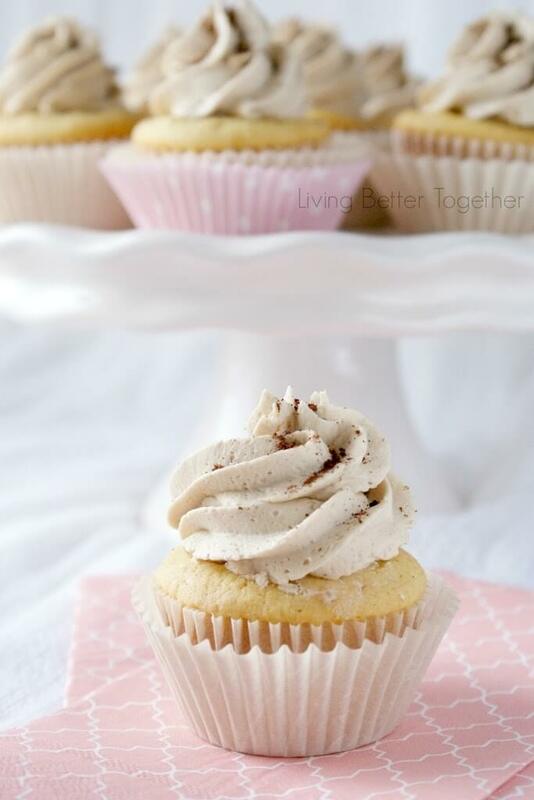 These French Vanilla Cappuccino Cupcakes are light and fluffy cupcakes topped with a sweet french vanilla cappuccino buttercream that is out of this world! Do you ever have one of those days where even the things you’ve done a hundred times, you just can seem to get right? A couple weekends ago… that was cupcakes for me. I trashed three batches and made two trips to the store for ingredients. I was running out of daylight to photograph in and wanted to just throw the frosting bag in the ring and call it quits, but boy am I glad I didn’t! As a kid, my brother and I loved those convenient store french vanilla cappuccinos. I used to love watching them froth out of the machine, sure they’re not the highest quality but we loved how sweet they were and how adult we felt when we got to have one. So I wanted to make a cupcake to remind me of those days. I love a recipe that take me back, don’t you? As I’ve gotten older, coffee and espresso isn’t something that really appeals to me as a beverage. I think when I was a kid I always wanted it because I knew it was something I really wasn’t supposed to have. Sure, I can appreciate a good latte and I can pair coffee until the cows come home, but I’m not one of those people who NEEDS their coffee. However, I do LOVE the essence of coffee in desserts, it tends to add a depth that no other ingredient can reach. I was so glad I stuck it out and made that fourth batch of cupcakes, because these were the result. 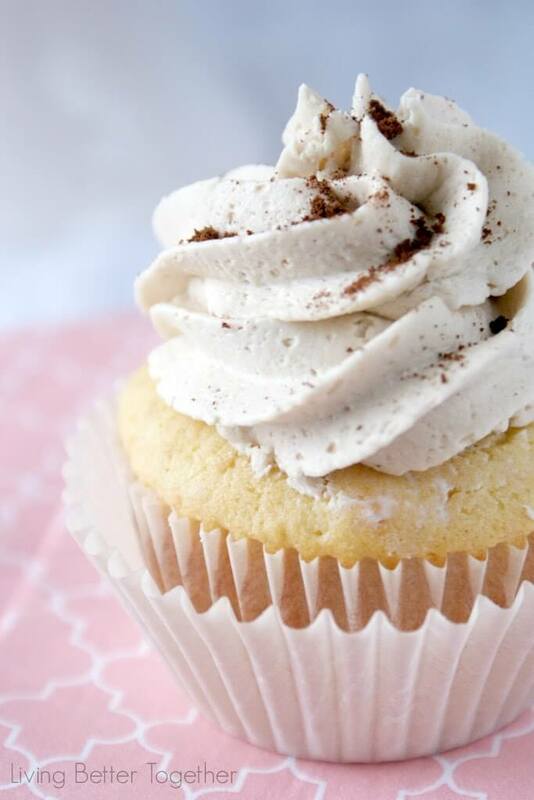 They were fluffy with a light note of coffee, and then there was the frosting! The Frosting! 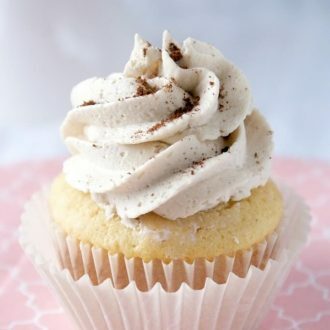 The frosting was pure money (those are my husband’s words for it), so delicious and one that I will be using over and over again! As you can see I also got them done in time to capture some great shots. But enough with the eye candy, let’s get to that recipe! Cream butter in a stand mixer or use a hand held mixer. 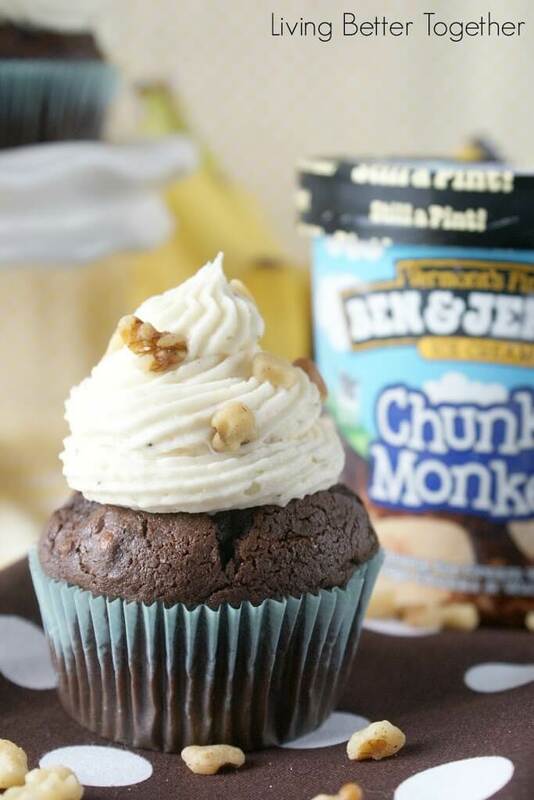 Add confectioners' sugar a 1/2 cup at a time until combined. Add in french vanilla cappuccino powder and coffee extract. Add in heavy cream a tbsp at a time until you reach desired consistency. 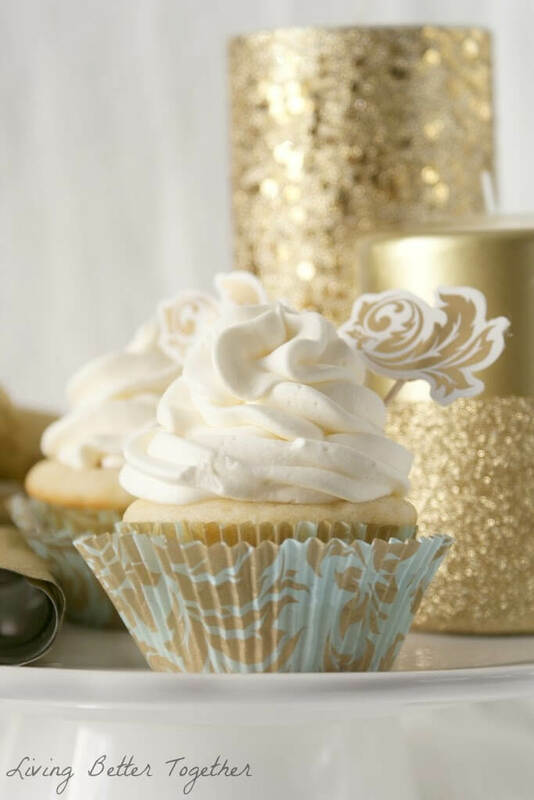 Transfer to a piping bag or decorator tool and frost cooled cupcakes. 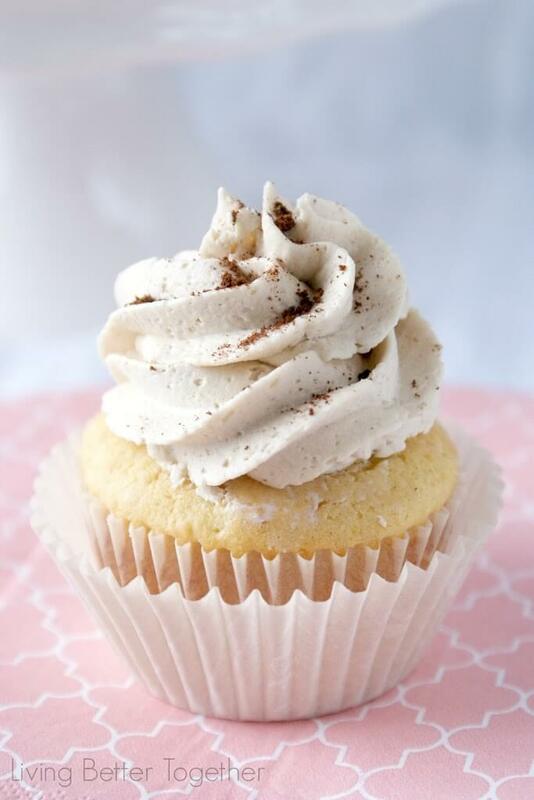 Sprinkle the top of the frosting with a little instant espresso powder. Some readers have experienced sinking cupcakes while others, like myself have had great success. 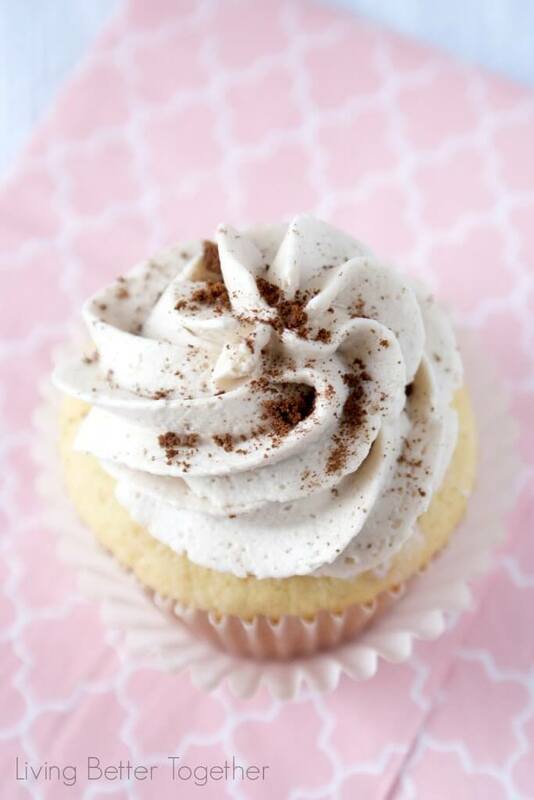 I will be retesting this recipe soon, but I recommend baking the cupcakes according to package instructions and adding in the coffee extract until then for best results. I made these for my coworkers and they came out AMAZING. Literally they thought I was some kind of baking God. I definitely couldn’t take all the credit because this is a really good recipe. I’m making some more this weekend for my family. Hopefully they come out just as perfect because they are forever going to be in high demand. Thank you! Yay! I’m so glad they loved them! 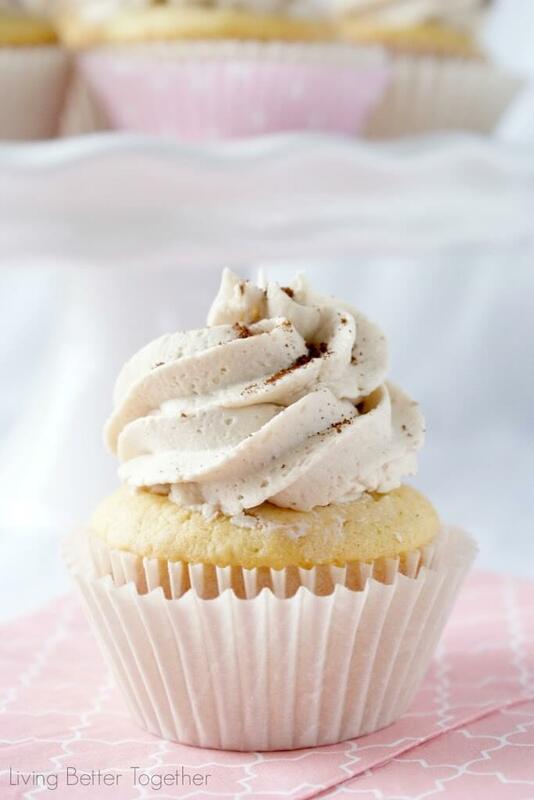 The frosting is a real winner, one of my favorites! I hope you enjoy your second round too! I probably shouldn’t ask this but since I had 4 of these in one sitting I’m feeling rather guilty about it. 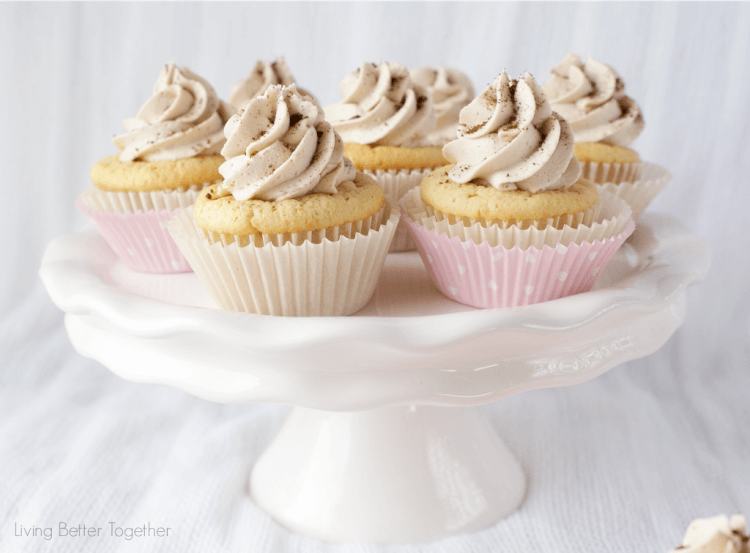 So… dare I ask how many calories are in one of these, minus the frosting?